All Out in South Korea! 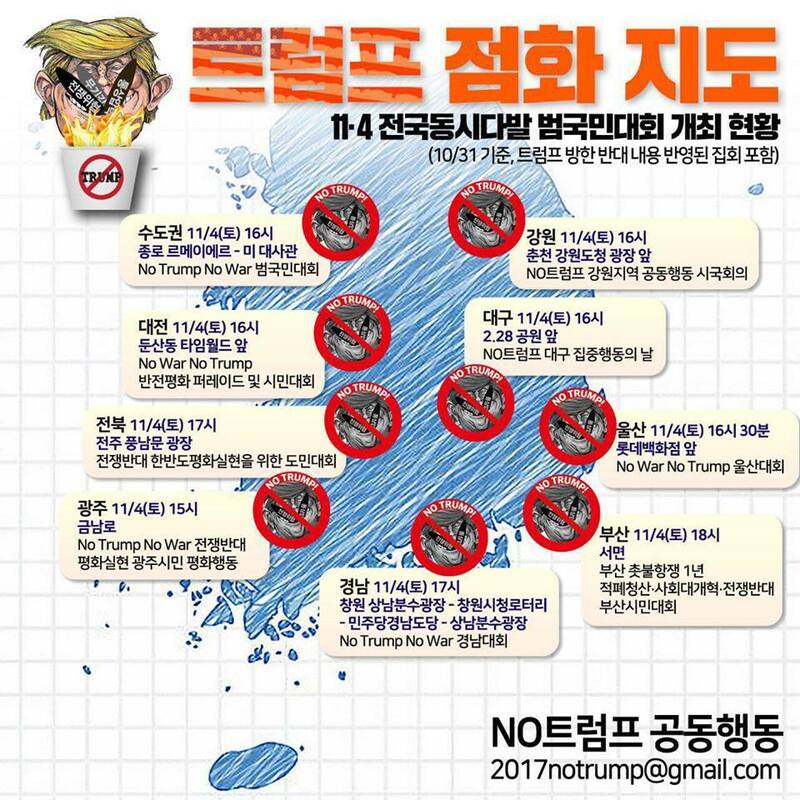 No Trump No War actions, rallies and protests will take place Saturday afternoon in Seoul, Chuncheon, Daejeon, Daegu, Jeonju, Gwangju, Ulsan, Busan and Changwon in South Korea. Tens of thousands of people will gather to stop the lunacy and keep peace on the Korean peninsula. 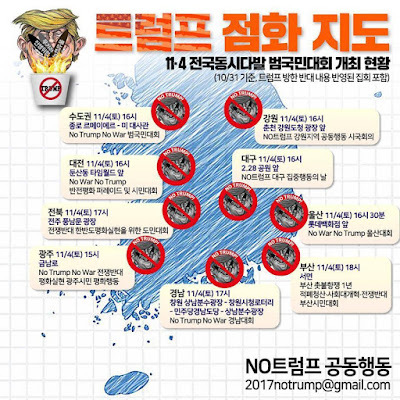 No Trump in South Korea! No War! Protests against Trump's visit to South Korea are being banned by the new so-called 'liberal' Moon government. But on the folks go anyway..... it is a very moving video - particularly the women's words near the end where she says, "We are living in Korea with no sovereign power." The South Korean government, since its creation by the US after the end of WW II, has always been an appendage of Washington. The people in South Korea know that reunification and peace will never happen on the Korean peninsula as long as the US government controls their fate. Especially at a time when the US views South Korea as nothing more than a forward deployed military outpost for US forces actually aimed at China and Russia. NATO is about to get sued by Serbia for using depleted uranium when it illegally bombed the hell out of Yugoslavia in 1999 in a successful attempt to break apart (Balkanize) the Communist nation. Recall that on May 7, 1999, during the US-NATO bombing of Yugoslavia (Operation Allied Force), five US JDAM guided bombs hit the People's Republic of China embassy in Belgrade killing three Chinese reporters and outraging the Chinese public. President Bill Clinton later apologized for the bombing, calling it accidental. CIA director George Tenet testified before a congressional committee that the bombing was the only one in the campaign organized and directed by his agency. The raid caused a dramatic rise in tension between China and the United States. An official statement on Chinese television denounced what it called a "barbaric attack and a gross violation of Chinese sovereignty". Months after the US-NATO attacks on Yugoslavia the aerospace industry magazine Aviation Week & Space Technology reported that the European allies were upset because the US Pentagon would not share any of the satellite photos of what their planes had hit. Europeans came out of that war saying they'd never put themselves in such a 'blind' situation again and began to build their own military space satellite network that they called Galileo (which sounds so nice and peaceful). It's hard for American citizens to see that our foreign policy is barbaric but it is. We've handed over the keys to Washington to a bunch of greedy, sick, warmongers who have taken their act global. It is truth telling videos like this one coming out of Russian media in the US that is helping to drive the anti-Russian campaign in Washington. The US is not used to anyone calling it out for war crimes around the world. RT is publicly doing just that and the deep state demands Russian media airing across the US be shut down one way or the other. The US empire is collapsing as the world has become clearer about what Washington is really all about. Now it's just up to the American people to figure it out and stop the evil nonsense. The Iran-Contra scandal is branded into my consciousness. It happened during the years of 1983-1988 when the Reagan administration was violating Congressional mandates not to arm the Contras in Nicaragua who were trying to overthrow the elected leftist government in that nation. Reagan ignored the law and armed the Contras anyway leading to much death and destruction. There are many stories linked to that time but two stand out for me. One is about a small Arkansas county prosecutor who went to then Gov. Bill Clinton and said he had clear proof that the CIA was running guns and drugs in and out of Central America from a tiny airport in his county. The prosecutor pleaded with Gov. Clinton to help him with state funds to take on the CIA. Clinton told the prosecutor to go home and he'd get back to him ASAP. The prosecutor never heard back from Clinton. Instead Clinton used the situation to help grease the skids for his eventual run for the presidency by showing he'd play ball with the CIA. A second story is about a toy maker from Atlanta, George by the name of Bob Fletcher. Fletcher was a Republican small businessman who one day found himself with an offer he could not refuse. A man walked into his shop and offered him a large amount of money to buy his business and then paid Bob to stay on to run the operation. Soon Bob realized that the new owner had no interest in the business, it was collapsing, and instead very shady guys were coming in and out of the toy company and meeting with the new owner behind closed doors. Eventually Bob challenged the new owner who opened a drawer and handed Bob a flyer for a Hellfire missile system and told Bob, "This is what we are selling now and you'd better keep your mouth shut or you will be dead." Bob figured he'd better get the hell out of town right away and moved to Orlando, Florida where I was living and working for the Florida Coalition for Peace & Justice. By then the Iran-Contra hearings were going full bore in Congress and one day Bob was watching a retired general testify before the investigating committee and recognized him as one of the men who would come to the Atlanta toy business to meet the new owner behind closed doors. Knowing that his business had been turned into a CIA weapons front operation Bob called the FBI in Miami and told them the whole story plus he had lots of documentation to back it all up. The FBI set up an interview with Bob and copied all his documents - they told him to go home and they'd get back to him right away. He waited and never got a call. Eventually Bob called the FBI back and they told him they had lost all his documents and his testimony. Bob next tried to get Iran-Contra special prosecutor Lawrence E. Walsh to listen to his story. Walsh had Bob meet with his staff but nothing ever came from the meeting. Bob became quite disillusioned with the entire process, realizing that the congressional hearings were rigged, and decided to run for Congress against right-wing Rep. Bill McCollum who himself was heavily involved in funding the whole US covert war in Central America. I remember doing some phone banking for Bob's campaign right before the election. For a relatively unknown guy Bob did pretty well but still lost the election. 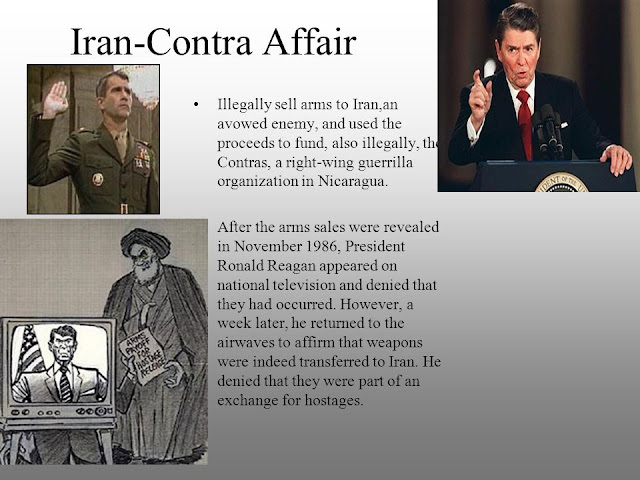 In the end the Iran-Contra hearings found that the sale of weapons to Iran was not deemed a criminal offense but charges were brought against five individuals for their support of the Contras. Those charges, however, were later dropped because the administration refused to declassify certain documents. The indicted conspirators faced various lesser charges instead. In the end, fourteen administration officials were indicted, including then Secretary of Defense Caspar Weinberger. Eleven convictions resulted, some of which were vacated on appeal. The rest of those indicted or convicted were all pardoned in the final days of the presidency of George H. W. Bush, who had been Vice President at the time of the scandal. The Iran-Contra Affair and the ensuing deception to protect senior administration officials including President Reagan has been cast as an example of post-truth politics. So the bottom line was that no one went to jail - no one really faced any repercussions - in fact Col. Oliver North (who had helped to run the entire guns/drug operation from a cash filled safe in his White House office) became a hero in the right-wing community and got a well paid job on FOX News. Bob was so disgusted that he moved to Montana and joined the militia. Years later I saw him on TV news one night being interviewed about the militia's opposition to the US government. A search on the Internet reveals that still today Bob is tilting at windmills - telling his story and trying to get the public to see that our government is corrupt. As I watch the current version of the Iran-Contra hearings in Washington - this time the so-called Russian influence peddling story - I can see that it is really nothing more than a big distraction and in the end few, if any, will pay any real price. The big boys are always protected either by having charges dropped or by a presidential pardon. Our government is run by a corporate criminal syndicate. They ensure that both parties are protected from any real prosecution for their criminality. The rest of us - the so-called 'little people' - are the ones that are held to the letter of the law. 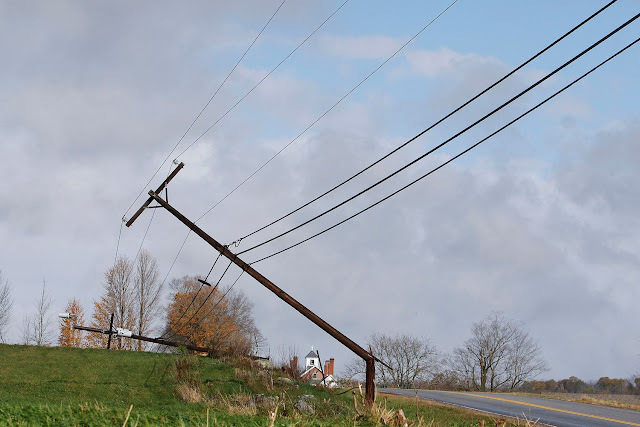 We were lucky at our house here in Bath - we never lost power while most homes in the city did. Over the years we rarely lose power and we've heard folks say that our house is on the same electrical grid as Bath Iron Works because we live so close to the shipyard. Sounds like a plausible theory. One might wonder why our state doesn't move power lines under ground as global warming is causing more severe storms more frequently. Some would say that the state can't afford to take on the expensive effort to bury power lines - but watching this current recovery effort I can't imagine how we can afford to repeatedly repair this aging electrical system after the next big storm - and we know that there will surely be more to come. October was the warmest month in Maine's recorded history. Portland made it through the entire month of October without a frost. Finally! What everyone has been waiting for - how RT really works! Editor-in-Chief Margarita Simonyan shows how RT 'operates'. Trump and Clinton are role players who work for competing corporate oil-i-garchs. Presently Republicans and Democrats are playing good cop-bad cop in their power tussle. We'd like to hold out hope that the 'Justice Department' and the FBI still row in the same boat with the rest of us - but actually the government legal team is on a yacht with Mr. Big and his minions having a very nice time. I see the latest Washington DC reality show as political entertainment. It's a distraction so we don't watch the $$$ transfer gambit going on between DC and Wall Street. The return of feudalism is upon us. Except this time the citizens get a Smartphone. To the downtrodden across America there was not much choice in the last election. No thanks, many citizens said while not voting at all or millions voted for Trump. Even long-time union members who normally voted Democrat - went Republican. The unemployed city rust-belters and rural conservative people felt no affinity for the 'liberals' like Harvey Weinstein, Hillary Clinton, Nancy Pelosi, Anthony Weiner and NPR. 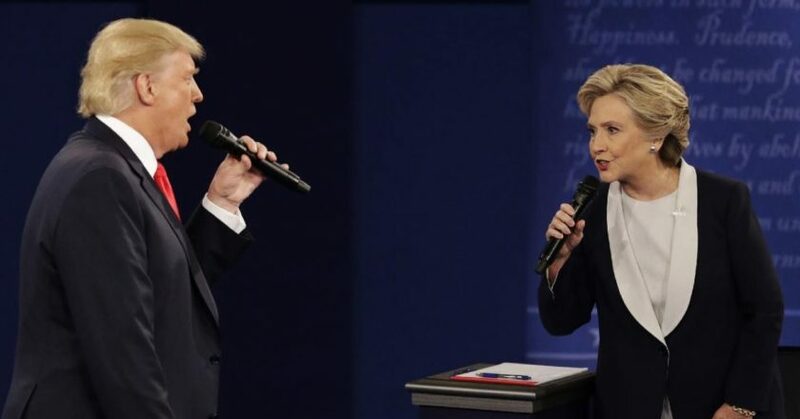 Trump went into the electoral ring and at least had some entertainment value for those who have lost heart with 'normal' Washington. His 'Battle of the Billionaires' was great training for the debates that he would enter after announcing his candidacy for the presidency. His match with Vince McMahon, the wealthy owner of WrestleMania, was a massive public relations gimmick that brought Trump into close contact with millions of working class people. He proved effective in the ring as an entertainer. Trump continues on this track today tweeting from the White House. Trump is a 3rd rate bully and his current production is called 'Bread and Circus'. He has a large audience. Two primary things are now underway here. If you watch Ukraine closely you will see where we in the US are heading. In the WrestleMania world they call it a 'take down'. We the people are heading for the reservation. The rich boys are stealing us blind and are entertaining us with the current Congressional war between the Republicans and the Democrats. In a way it is a double insult - they steal us blind and laugh like hell as they watch the people be absorbed with the CNN and FOX 'Breaking News' reports on Russia stealing the last election. The second act of the oligarchy turf war is between the old-guard (east coast establishment) and the 'newly-rich' regional oligarchs (Koch Bros. for example) who are in a battle for national control. With victory comes the ability to be the pusher and shover around the world. Big money is to be made from endless war. Mr. Big knows climate change is coming and that money and power will shift dramatically in unknown ways. They are setting themselves up now to get all they can - while they can. Competing oligarchs are grabbing for the cash - and like all mobsters will kill if anyone seriously gets in the way. It is a sickness - love of money and power - and it disconnects us from Mother Nature. We humans are getting smacked back by our angry mother. Her body is in toxic shock and she is thrashing about - but we are mostly too self absorbed to pay attention or care. Many can't fight anymore as they see no end to the struggle and descend into deep depression. On we must go - keep pushing......don't pick one of the oligarchy sides. They are both toxic. Stand by the people as the rich and powerful try to smash our lives. Watch what is going on in Puerto Rico. Share your stories with one another. We are all in the same fight these days. Jury selection for the upcoming Aegis 9 trial will be held on Thursday, Nov 9 at 8:30 am at the West Bath District Court (101 New Meadows Rd). The court has also set preliminary trial dates between November 13 through December 1. The trial is expected to last for two days. The public is invited to any and all of these court dates. The Aegis 9 were arrested at BIW on April 1, 2017 during a ‘christening’ ceremony of another destroyer at the shipyard. Those arrested were calling for the conversion of BIW to build commuter rail, solar, wind turbines and tidal power systems to help us immediately deal with the coming ravages of global warming.